A special monthly commendation for Washington State University faculty and staff who have provided superior customer service. 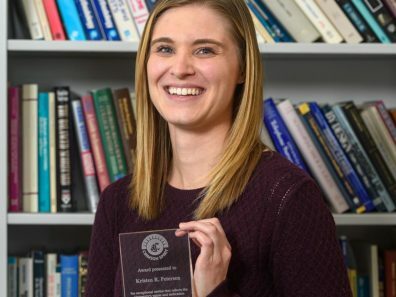 Anyone can nominate a WSU employee. See the eligibility guidelines. 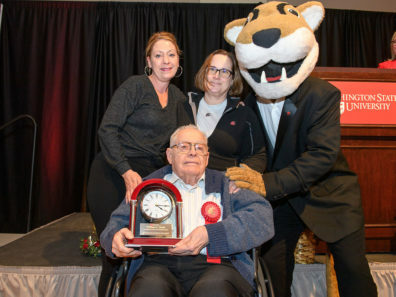 The Crimson Spirit Award is a monthly recognition award for individual employees who provided exceptional service and exceeded expectations while representing WSU to internal or external constituencies. Awardees receive a unique crystal plaque, recognition by peers, achievement published in campus-wide media, and university-wide acknowledgement at the annual Employee Recognition Reception. 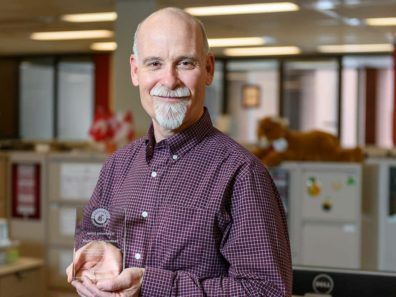 Nominees must be current and benefits eligible Washington State University staff, faculty, or administrative professional employees from any University work location. Nominees may receive the award once every three years. University affiliates are not eligible for this award. Submit a nomination with the nomination form. Anyone can nominate: WSU faculty, staff, students, or community members. Winners are selected by the Crimson Spirit Award Committee. Learn more on the Customer Service Initiative page. Questions: Please contact Human Resource Services at 509-335-4521 or hrs@wsu.edu.